From the windblown plains of Casper to the mountain peaks of the Wind River Range, there are famous gems and little-known treasures awaiting you in Wyoming. Revel in the state’s dramatic mountains and expansive rangelands, myriad arts and culture options, fascinating historical sites, and majestic national parks. Whether you’re interested in rodeos, cattle drives, and dude ranches; float trips and river rafting; cultural pursuits in the cities; or hiking through mountains and canyons and camping under countless stars in a wide-open Western sky, you’ll find so many recreation options in Wyoming. Watch wildlife, try fly-fishing, ski or dogsled in a snowy wonderland, and, at the end of the day, dine in a great restaurant or take in a concert or festival. Wyoming offers the best of several worlds, and adventurer and writer Alli Rainey, a passionate Wyoming resident, will show you the best the state has to offer. As with all Explorer’s Guides, handy icons point out places of extra value, wheelchair-accessible businesses, kid-friendly sites and activities, and lodgings that accept pets. Regional and city maps cover the entire state, helping to simplify your visit. An alphabetical “What’s Where” section provides essential facts and figures. 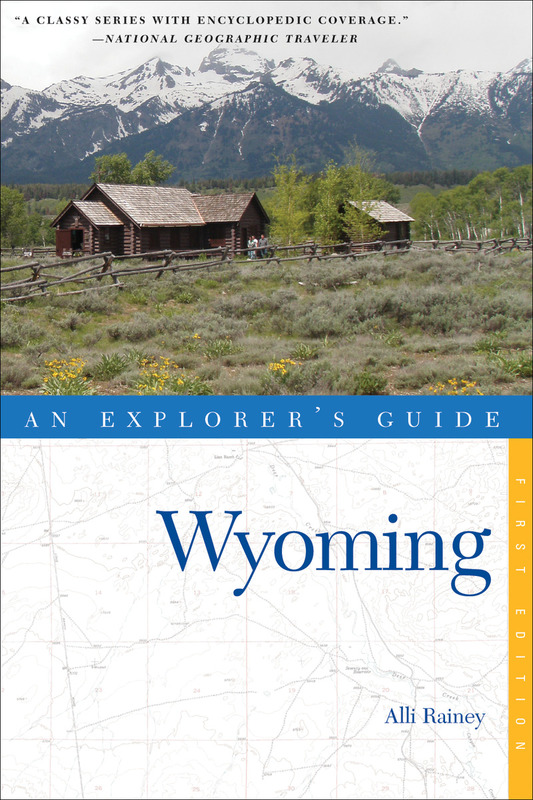 Also included are details of cultural and natural history, events calendars, hundreds of photos, detailed maps, and transportation information as well as full coverage of Yellowstone and Grand Teton national parks. Alli Rainey is a professional rock climber who lives in Ten Sleep, WY. She is the author of Bouldering USA and Wyoming: An Explorer's Guide.